The Pacers are locked and loaded and have their sights set high. Led by a high octane offense and a stifling defense, Indiana looks to reign atop of the Central Division and bring home an NBA championship. Division rivals, the Cleveland Cavaliers and the Chicago Bulls will fight to spoil the Pacers plans. Get your Indiana Pacers tickets and head down to the Bankers Life Fieldhouse to be a part of your team's home court advantage. The Indiana Pacers entered the American Basketball Association (ABA) in 1967 and within a few years, they went on to clinch three ABA titles in 1970, 1972 and 1973. The franchise then joined the National Basketball Association (NBA) in 1976. Since then, the team has been through many ups and downs. They have been very consistent of late and have made it to the playoffs in seven of the last eight seasons. They have also won two division titles during this time. The fans now have high hopes from the team’s young players like Victor Oladipo, Trevor Booker, Myles Turner and Domantas Sabonis to lead the Pacers to their first NBA Championship in the upcoming 2018-19 season. Will the team be able to take home the top prize this year? Find out by getting your Indiana Pacers tickets. Let’s take a look at some of the greatest Indiana Pacers moments. 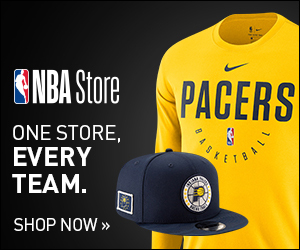 The 2000 NBA Finals – After being eliminated from the playoffs in 1997-98 and 1998-99 seasons, the fans of the Indiana Pacers were thrilled when they saw their team outperform everyone in the 1999-2000 campaign. They qualified for the postseason and went on to defeat the Philadelphia 76ers and the New York Knicks in the Conference Semifinals and the Conference Finals respectively. After that, the Pacers crossed paths with the Los Angeles Lakers for the NBA Championship. Many baseball fans were rooting for the Pacers but despite their utmost efforts, they lost, 4-2. However, the team still won one division title and one Conference crown that season. Reggie Miller Saves the Day – Reggie Miller is considered one of the greatest players to ever play for the Indiana Pacers. Although he provided many unforgettable moments but there is one that stands out. That was when he won Game 1 for the Pacers against the Philadelphia 76ers in the first round of the playoffs in the 2001-02 season. He did that by scoring a three-pointer in the last three seconds of the game. However, the Pacers couldn’t get the momentum going and were later eliminated from the postseason by the 76ers after coming up short in Game 2, 3 and 4. The Indiana Pacers have rivalries with the likes of the New York Knicks and the Chicago Bulls. Pacers-Knicks Rivalry – The feud between the Indiana Pacers and the New York Knicks is so intense that The New York Times stated in 1998 that the rivalry is, "as combustible as any in the league.” Both sides have collided in the playoffs a total of seven times. This feud was fueled due to the enmity between the Pacers’ star player, Reggie Miller and the prominent Knicks’ fan, Spike Lee. This rivalry between the two sides was renewed in 2013 when both the Pacers and the Knicks collided in the NBA Playoffs in the Eastern Conference Semifinals. The former won that bout, 4-2. Pacers-Bulls Rivalry – The Indiana Pacers developed a rivalry with the Chicago Bulls due to the fact that both played in the Eastern Conference Central Division. This rivalry reached its boiling point on February 12, 1993, when a fight broke out between the Pacers’ Reggie Miller and Bulls’ Michael Jordan in a regular-season game. As Jordan started it by throwing a punch at Miller, he was suspended for one game and was also fined $10,000. Miller was not suspended but was fined $6,000. Their rivalry reignited when these two sides collided in the First Round of the playoffs in the 2010-11 season. The Bulls won that series, 4-1. The Indiana Pacers were established half a century ago in 1967. The team was first established as a member of the American Basketball Association and became a member of the NBA in 1976 as a result of the ABA–NBA merger. They are currently coached by Nate McMillan. Since 1999, the Pacers have been playing their home games at the Bankers Life Fieldhouse. The arena opened to replace the Market Square Arena. Bankers Life Fieldhouse has hosted many events over the years including wrestling, concerts and auto racing. It is an excellent venue for watching basketball games. From every seat in Bankers Life Fieldhouse, you’ll feel right on top of the action. With every seat being 20-22 inches wide or more, you will have plenty of space to get up and go nuts every time the Pacers hit an amazing shot! Indiana is basketball county, so you know every Pacer game is going to be a great night out. There is no doubt that Reggie Miller is one of the greatest players in Indiana Pacers history. This amazingly talented star joined the team in 1987. He remained with the Pacers till he decided to call it a day in 2005. During this time, Miller appeared in five NBA All-Star Games in 1990, 1995, 1996, 1998 and 2000. He also received the J. Walter Kennedy Citizenship Award in 2004. In addition, the Pacers retired his number 31. Then there is Jermaine O’Neal who remained with the Pacers from 2000 till 2008. While he was with the team, he made it to six consecutive NBA All-Star Games from 2002 to 2007. Moreover, he was also selected to become a part of All-NBA Second Team. There are also other stars that played for the Indiana Pacers, including Alex English, Adrian Dantley, Gus Johnson, Roger Brown, Chris Mullin and George McGinnis. All of these players have been inducted into the Indiana Pacers Hall of Fame. After failing to go past the First Round of the playoffs in the last two seasons, the Indiana Pacers are ready to make a strong comeback in the 2018-19 campaign. To watch them play live, you have to get your Indiana Pacers single game tickets now. Do it today because they might run out of stock soon. Our process for purchasing cheap Indiana Pacers tickets is simple and fast. There are so many online ticketing sites, that it can be hard for customers to find the right place to buy Indiana Pacers tickets at the cheapest price. At ScoreBig we think of our customers first and foremost. We offer daily deals for Indiana Pacers events, so our customers can get the best seats for the best prices. ScoreBig will always go above and beyond to offer the cheapest Indiana Pacers tickets on the market. The Indiana Pacers schedule above, displays all available events for 2019 and 2020. Once you find the event that you would like to go to, click the red “Get Tickets” button. It is located on the right-hand side of the event listing, it will take you to an Indiana Pacers event ticket page. ScoreBig's event ticket page will display all available Indiana Pacers tickets for that event. On the event ticket page to help with your search for the right Indiana Pacers tickets, use the filters at the top to select quantity, price range, and more. There is also an interactive seating chart so you can pick where you want to sit. When you are ready to buy a ticket, click on the listing, and you will be directed to ScoreBig's checkout page. Upon completion of the information fields, your order will be processed and your Indiana Pacers tickets will be delivered via email, mail, or to your mobile device. What makes ScoreBig’s site stand out from the rest? We are constantly analyzing our competitors to improve our site, service, and prices. ScoreBig.com employees strive to offer the best process and experience to buy cheap Indiana Pacers tickets. Our goal is to get you the best seats to Indiana Pacers events. We offer daily discounts on our site and for special promotions check out our newsletter. If there are no Indiana Pacers events currently available, you can use our search feature at the top of the page to see a list of all popular events going on near you. No matter your price point, we have all the best deals and discounts on Indiana Pacers tickets. For more information on prices of Indiana Pacers tickets and the schedule for Indiana Pacers, check out our listings above. The last thing you want to find out is when the Indiana Pacers event you wanted to go to is sold-out. Don’t worry in many cases ScoreBig has affordable tickets to sold out events. We sell tickets from GA all the way to premium seating and parking. Skip the scalpers in the parking lot and get your tickets online from top Indiana Pacers ticket brokers. We get you in all events, buy your Indiana Pacers tickets here from a brand that many trust and rely on for all their ticketing needs. ScoreBig offers a 100% money-back guarantee. If you have been in search of cheap tickets for Indiana Pacers, ScoreBig by far is the best option. That’s why ScoreBig has more loyal customers than any other ticketing site. Shop at ScoreBig for safe and secure Indiana Pacers event tickets.